Location: South side of an un-named minor road, just east of its junction with Brackley Lane. Present state: The overgrown and somewhat dilapidated platform survives. The up track is still in place but appears to be out of use, freight trains using the down track. The stationmaster's house is in private occupation. 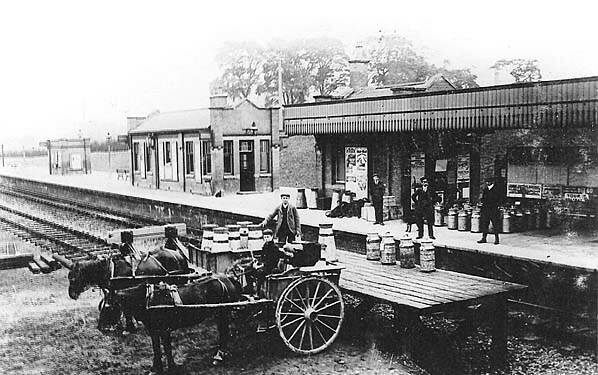 Notes: Calvert was the last station on the Great Central's London Extension before it reached the Metropolitan's station at Quainton Road, 4½ miles away. 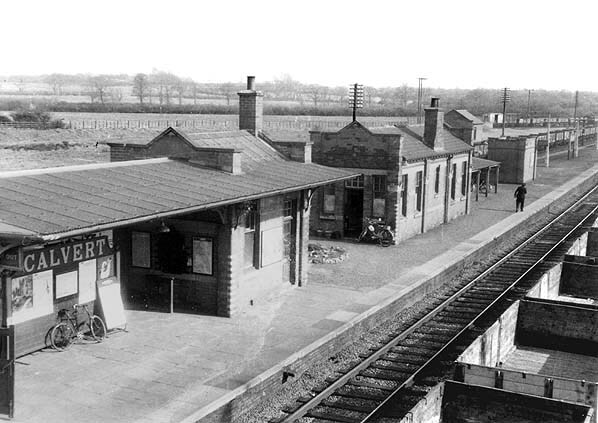 The station and line between Brackley as far as Quainton Junction were constructed by Walter Scott & Co. of Newcastle upon Tyne. Although the station was named Calvert, no such place existed at the time and the name was that of the local landowner, Sir Harry Verney, who had been born a Calvert but changed his name upon succeeding to the Verney Baronetcy. 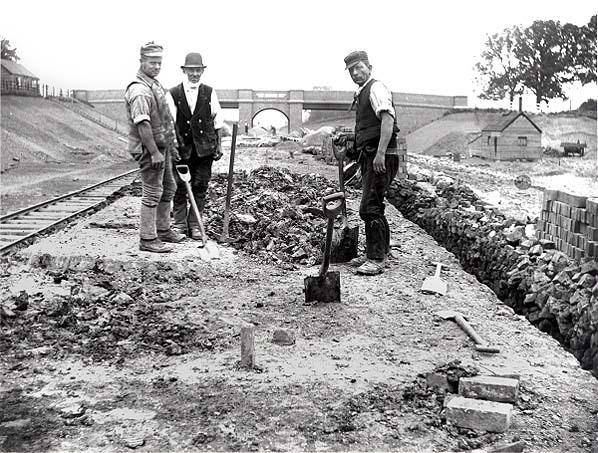 At the time, Calvert was a very rural settlement with the few houses making up the village being situated close to the station and nearby brickworks which was the largest employer in the area. In true Great Central style, the station had a single island platform located below a road overbridge from the centre of which a staircase led down to the platform; the centre piers of the bridge were left hollow to provide lamp rooms. The design was chosen as it would allow the track to be quadrupled if ever required. Around 2½ miles to the south of Calvert was Grendon Underwood Junction where 'Calvert Cabin' signal box controlled the line as it split into two: one line branching out towards Marylebone, the other towards Amersham. 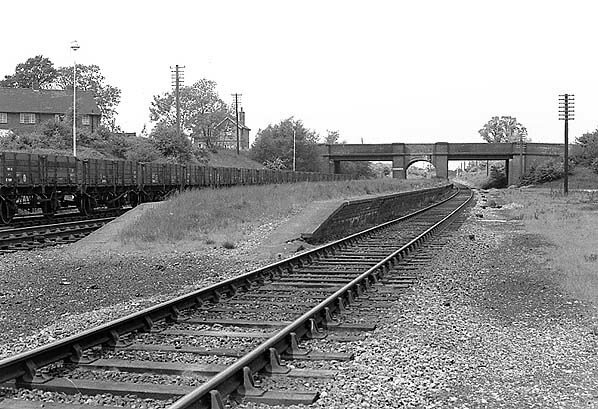 A connecting spur, brought into use on 14 September 1940, linked Calvert with the Oxford to Bletchley line with the Great Central, allowing much of the freight which used the Verney Junction - Quainton Road section to be diverted over the Great Central. 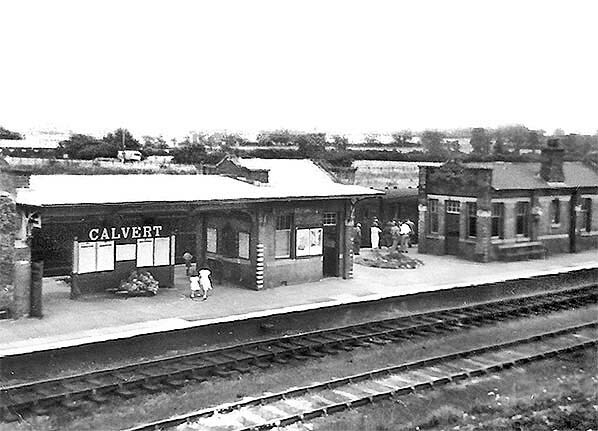 Calvert was to remain open a further 23 years before closing to passengers on 4 March 1963, freight traffic lasted until 4th May 1964. The station platform remains in a dilapidated state, although the station buildings have long since been demolished. The stationmaster's house stands nearby. 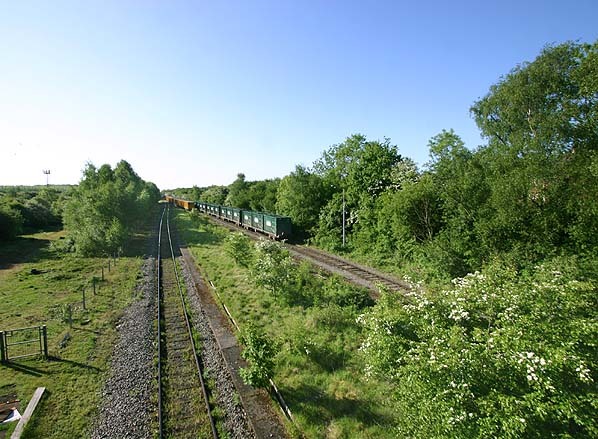 container trains each day use the site: four from Brentford (known as the 'Calvert Binliner', and one from Bath and Bristol (known as the 'Avon Binliner'). The containers, each of which contains 14 tons of waste, are unloaded at the transfer station onto lorries awaiting alongside which then transport the waste to the landfill site. The site, dating from 1977 and now one of the largest in the country, stretches to 106 hectares and partly reuses the clay pits dug out by Calvert Brickworks which closed in 1991. Too see other stations on the Great Central Railway between Sheffield Victoria and Aylesbury click on the station name: Aylesbury, Waddesdon, Quainton Road (1st site), Quainton Road (2nd site)**, Finmere, Brackley Central, Helmdon, Culworth, Woodford Halse, Charwelton, Braunston & Willoughby, Rugby Central, Lutterworth, Ashby Magna, Whetstone, Leicester Central, Leicester North***, Belgrave & Birstall, Rothley**, Swithland****, Quorn & Woodhouse**, Loughborough Central**, East Leake, Rushcliffe Halt**, Ruddington, Ruddington Factory Halt, Arkwright Street, Nottingham Victoria, Carrington, New Basford, Bulwell Common, Bulwell Hall Halt, Hucknall Central, Annesley South Junction Halt, Hollinwell & Annesley, Kirkby Bentinck, Tibshelf Town, Pilsley, Heath, Staveley Central, Renishaw Central, Killamarsh Central, Beighton (1st site), Beighton (2nd site), Woodhouse Junction, Woodhouse*, Darnall*, Sheffield Victoria & Sheffield Bridgehouses. This 1954 OS map clearly shows the rail served Calvert Brickworks to the south of the station. The clay pits can be seen on both sides of the road to the west of the railway. The north pit is now a lake. 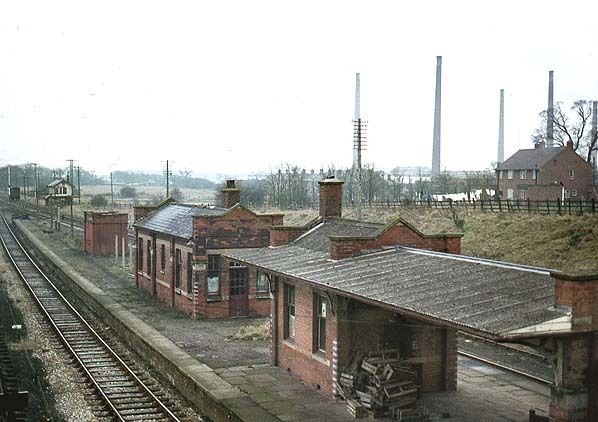 Calvert Station looking north in 1967; Calvert brickworks can be seen to the rear. The overgrown platform at Calvert looking south in May 2008.